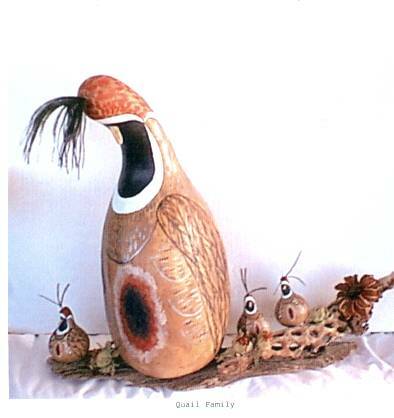 Christina Baklanoff is a gourd artisan located in Arivaca, Arizona. Educated at the Ohio State University where she received her B.S. degree, she is a self-employed designer. Christina has been featured in various medias such as Tuscaloosa News, The Southern Living Magazine, and PBS "Open Studio". 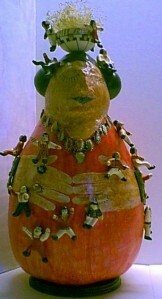 One of her gourd ornaments hung in the White House Christmas Tree in the year 2000. She has registered collections at the Sears and Roebuck Foundation, Fisk University, among others. She has racked up a healthy record of juried shows and has won 7 national awards. 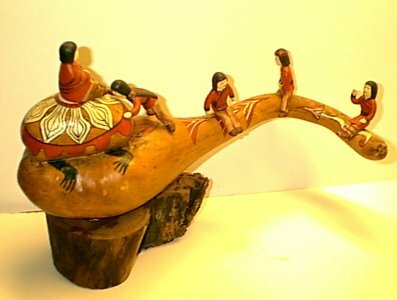 She has turned her talents to gourd art. Here are some of the results.